Gray, Colin, Chris O'Leary. 2019. 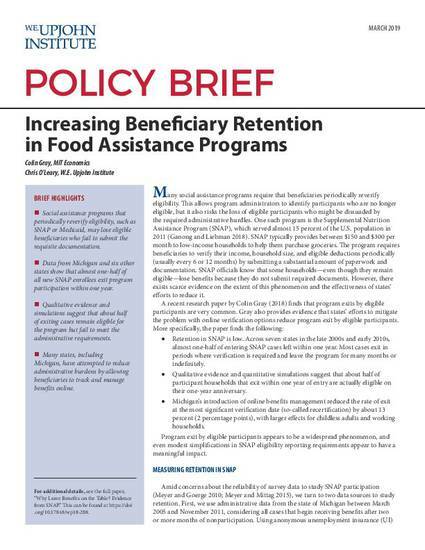 "Increasing Beneficiary Retention in Food Assistance Programs." Policy Brief. Kalamazoo, MI: W.E. Upjohn Institute for Employment Research.